I’ve just come in from weeding in the rain. Me and Jesus had quite the conversation so I thought I’d share some of His perspectives. It seemed at every turn God whispered lessons and thoughts, parallels and analogies. How good He is to take the most mundane task and turn it into a devotional time, which leads to His first whisper. “I don’t want to do this. I’m tired,” I said. “I know. C’mon, it’ll be fun. We’ll do it together, ” He said. Together. Ah yes. He reminded me He is here with me. And my weeds. God reminded me of this download about worship. In short, when we do everything with our whole heart, when we do it for Him, it’s worship. 1) Worship is doing everything with Him and for Him. “Got it. I’m not weeding, I’m worshiping. Here I go into the downpour,” I said, trying to sound cheerful. Let me just say, I love walking in the rain. However. I did not want to pull weeds in the rain. So I debated whether the cool weather and soft soil would be worth the wetness. It was. 2) Sometimes the hardest step into the uncomfortable is the first step. 3) Keep your garden watered. The rain-soaked ground was so easy to work with. 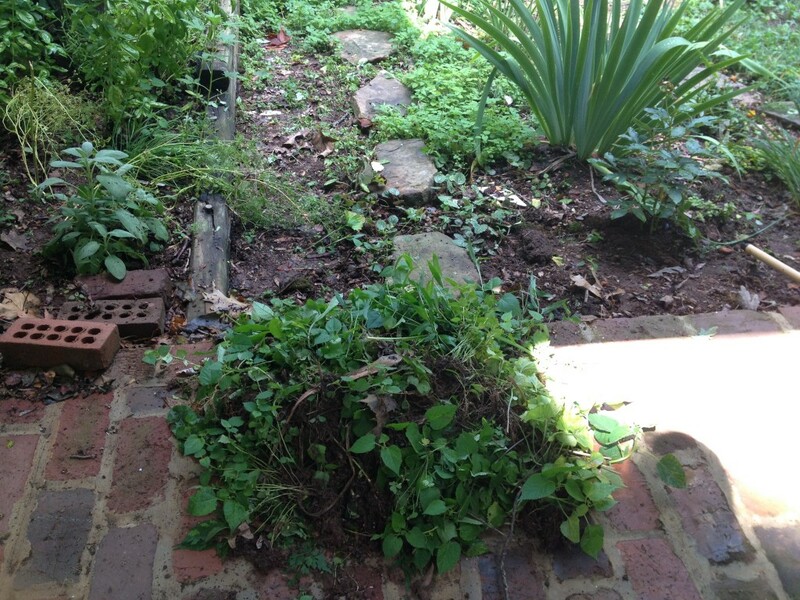 As I pulled up weeds and dug around my plants, the soil was pliable in my hands. The weeds literally pulled up out of the ground with minimal effort. I had gone out couple of weeks ago but the ground was so parched that the weeds only broke off in my hand. “See Jana, you have good dirt. It just needed a little rain to soften it up. And now the weeds come up root and all,” He said. I pulled in silence for several minutes, but I was more and more aware of the all the weeds that had overtaken my garden. I kept thinking about His comment of pulling up the weeds up “root and all.” I kept noticing the how soft the soil was because of the soaking rain. “Kind of like repentance,” He added. I was typing an email yesterday and God just laid this in my lap. We live in a culture of pseudo perfection. We attempt the perfect body, marriage, family, church, country. We spend countless hours trying to achieve some shifting notion of “just right.” And, frankly, it’s killing us. Yes, we are spiritually wired for perfection, but it is one of those “not yet” scenarios. When we are fully with the Perfect One, we will enjoy our perfect reality. But in the meantime. What is God working on? This jumped off the page for me! God has his own goals of perfection. He is not focused on six-pack abs, or 401K totals, or world issues, although He intimately knows and cares about those things. In fact, He graciously “gives us all things” and uses those things to shape us and reveal His love and nature. But God is working daily to perfect our faith that we might believe in who He is. All His love. All His power. All His availability. His Kingdom come, His will be done. Is it possible that our greatest achievement in this life is how well we believed Him? Is it possible that the goal is to become and accomplish all that He promised us only because we believed Him more and more with each passing year and circumstance? Fixing our eyes. Focusing our attention, but also repairing our vision. We are learning to see with Heaven’s eyes, looking through His lens of truth and love. On Jesus. The only One truly worthy of our trust and adoration. All other ground is sinking sand. And perfecter. His intention, goal and plan is that we would be made perfect in the knowledge of him. Who can thwart the plans of God? Job asked. Of our faith. “Help my unbelief” the man cried to Jesus. What a blessing. What a gift. What a relief to know He is actively working to perfect our faith to believe Him more. I am so struck by this glimmer of God. I want to respond to what He is actively working on. My faith. I want my heart to be so steadfast, so held by His perfect love, that when I see Him face to face, we won’t be talking about what I did for Him but what I believed about Him. Pay attention to your life. All of it. And know that Jesus is actively, wonderfully perfecting your faith. Because when you believe Him well, everything else changes too. Oswald Chambers once wrote that some things revealed in the spirit are difficult to convey in words. As I write this sentence this morning, I see now I why God told me to create a picture. The revelation He gave is a rich reality not intended to be easily digested, or dismissed. It is so profound that He wanted me to experience the supernatural moment, but also to fully appreciate the sensation in the natural. And, he wanted me to take a picture so that I could remember it, and share it. Why? Because this truth is for us all. So allow me to create the backdrop of the Masterpiece. The verse out of Revelation came to my spirit about his name being written on our foreheads. I laughed in my heart and told Him I was rubbing in the name that he had written on my forehead so it wouldn’t fade away. “What would it say anyway? Jeee-sus?” I asked in a silly sort of way. “No, that’s my name. That’s not my name for you.” His penetrating response shook off my childishness in an instant. Now I have a long history with God about names. All through scripture, and today, we see God changing people’s names. He gives us new names, even pet names, to show us our destiny or to strengthen our confidence in Him. It is a huge jump in affection when we faith Him to tell us our names, we receive that name and eventually agree with His new name — his idea of who we are becoming, not what we currently see. That being said, I asked Him if it was my “new name” written on my forehead? “No, today it’s different,” He said. So I waited in worship. Then I saw myself standing in front of Him, my head bowed, a smile on my face, and the word “Beloved” written on my forehead. “Your name is Beloved,” He whispered so tenderly and then He kissed my forehead. Tears rolled down my cheek in the natural as I experienced this holy picture in my spirit. I am, we are, Beloved. Known intimately and received completely by Jesus. Not collectively, but individually. He holds nothing back from us. He calls each one of us, writes on each of our foreheads His distinctive declaration. Not a number. But a name, a lovely, awe-inspiring, worship-invoking name. Beloved. His Beloved. To say I was wiped out would be an understatement. I could hardly speak the rest of the night. The next day I could think of little else as I thanked the Lord for his beauty, nearness, and desire. But He wasn’t done with me yet. He kept reminding me that He wanted me to create a picture. I wanted to protest, but how could I refuse Him? So I asked the girls to help me follow through on something the Lord had told me to do, even though it sounded crazy! Salem wrote on my forehead and Charis poured oil while Salem took pictures. Can you even imagine the expressions on their faces? But we did it all together. And as I relived in the physical world what I had experienced in the heavenly one, even more love exploded in my heart and spirit. Can you see this word on your forehead? It is there. Written by Jesus himself. Now let me show you the verses in their fullness and colorful beauty. with its twelve kinds of fruit, yielding its fruit each month. The leaves of the tree were for the healing of the nations. and his servants will worship him. 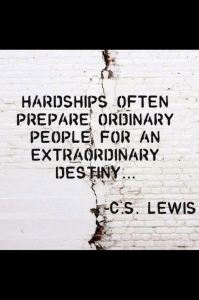 God has used both of these passages in my own life to reveal hope and healing and destiny. But He has also purposefully planted these promises in me so I can give them to others. It is His heart is for His people. He gives us these truths so that we can walk, no run, no DANCE in the joy of Being His. After this all happened I was reading a new book and saw the phrase, the Oil of Intimacy. I had to put the book down. That was it. Precisely. He pours on me, you, us, the oil of intimacy. Oil. Produced by crushing and refining. A product for softening, nourishing and healing. A product for burning, lighting, or scenting — anointing. Intimacy. A result of two hearts connecting in deepest places. The two becoming one flesh. In-to-me-you-see. To know and be known, to love and be loved. Be loved. Beloved. 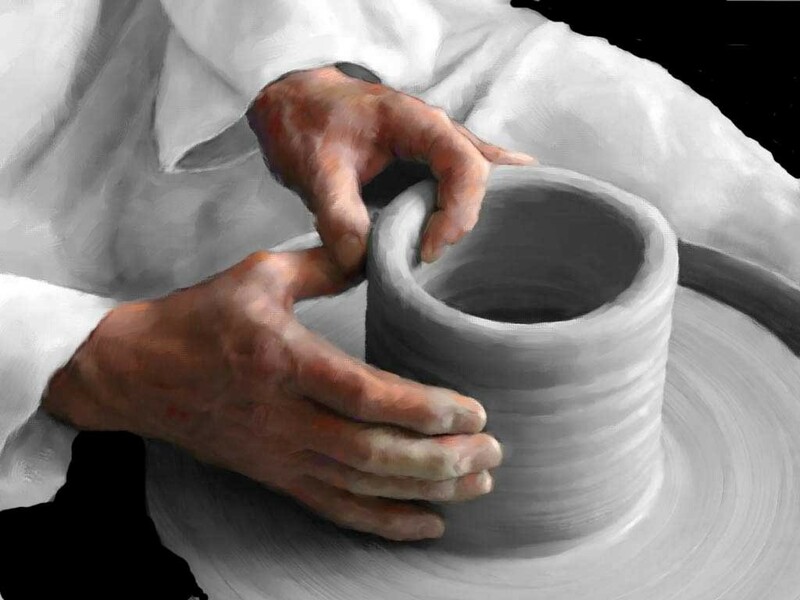 I can hardly contain all this as it is…but this morning He reveals two more pieces. First, this revelation comes on the heels of an encounter that had come the week before where I was left with a hard question of “who will you become?” He had shown me three different pictures going from devotion to distraction. I have wrangled over the answer and He himself answered His question. I am His Beloved. I am His. And second, as incredible as it sounds, my friend Chelsi sends me a link to a song this morning. It’s name? “Healing Oil” by Kim Walker. Think He is wanting me, wanting us, to soak in His goodness? So what to do with all this? Maybe you should have someone write the word Beloved on your forehead and take your picture. It is very sobering. Maybe you should pour oil over your hands, or head if you dare. Feel the sensation of the richness, let your spirit and your body agree…His has anointed us with the oil of gladness. It is ours for the taking. Maybe you should sit in quiet or worship and eagerly desire the presence of God. He inhabits the praises of His people. So He is eager to be with you as well. Maybe you should just thank Him. Thank Him for calling you Beloved. We are His beloved. Let Him write on you. Let Him pour oil on you. Let Him love you. Years ago, I remember reading a profound little book called Gifts from the Sea by Ann Morrow Lindbergh. I was a new Christian, a wanna-be writer and a newlywed. Her book was so deep and so grown up, I missed much of her wisd om the first time I read it. It seemed surreal that she would leave her family, or could leave it, just to go to a beach to unwind and write. And yet, here I am — waiting, seeking what the ocean might bring to my distracted soul; here I am yearning for the presence of God. It’s not as easy as it sounds. Like my sister from generations passed, I am disentangling myself from the daily demands of family, work, ministry, and life. They are beautiful cords that weave through and decorate my life. Yet I confess the tautness and pull of them sometimes knot up my mind. (I suspect I am not alone.) Ann Morrow described a woman’s life being the hub of a wheel with responsibilities and relationships emanating outwards in constant motion. That said, it required so much trust and courage to step out of the circle of motion and to take the time to unknot myself. Oddly, I find it is the very lack of pace that leaves me uncomfortable. What do I do with my time? Now that I have removed all excuses and counterfeits, what is best done with my sabbathed energies and emotions? Yesterday the word was affection. We talked about hearts. 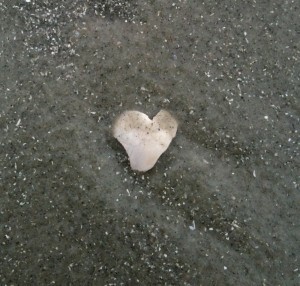 But not sea shell hearts, although I have found many. 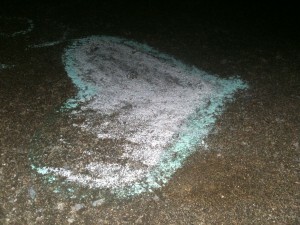 He showed me hearts in the sand, hearts outside crab holes, hearts in sea foam, in the clouds, in tree leaves. His love is everywhere. Will I simply see it and receive it? His love is everywhere. Is there anything more present or powerful? His love is everywhere. Am I walking in the boldness of a well loved woman? As I look back on my God journey, I realize my soul was awakened by the ocean. From a child who giggled at first sight, to a twenty-something who stood by the sea and cursed my life for its bitterness and loneliness, to a young married consumed with “what would be one day”, to a wonder-filled diver who explored the glorious underwaters, to a forty-something who realized that I was not alone as I picked through the trinkets of the sea — God had been there, was there, would be there. He is here. Now. My conversations have changed over the years and the beach trips. This time together, we dream and enjoy and ponder. The conversations are as diverse as the tides that roll in differently every day. One day it is fierce and windy, leaving me breathless and slightly off center; another day is warm with gentle waves urging me closer. So to pull away, to hear him, to laugh and muse, to tease and argue, to deeply intercede for others in a focused way…it replenishes me in the same way the dry sand hungrily soaks up every drop as the waves wash ashore. What do I do with so much time with the God of the ocean? Find your place, your beach, your sabbath. Find your spirit again. The rain in the night brought rough waves and ocean gifts the next morning. As the tide rolled out it left a trail of treasures like opened toys on Christmas morning. The large lump on the beach drew special attention. Walkers swerved to look at it and continued on their clipped pace. Children, held firm by watchful mothers, stopped to gaze from a safe distance. Even ever-hungry seagulls took a tentative peck at it. For more than an hour it was a topic of wonder and sadness— another jellyfish washed ashore. It was my friend, Heather, who kept going back to it over and over. Finally she leaned close —observing, waiting, watching and then she bee-lined it back to our lounge chairs. It may have been alive, but its now been out of water too long. Do we care if a jellyfish is alive? After all, that is one less potential sting in the gray Atlantic water. How does one rescue a jellyfish? “It’s trying to breathe, I guess.” I said out loud. Something about that statement shocked me into action. A flurry of activity followed. With a float, a small umbrella, and smaller courage, we marched back down the beach to see our potential patient or corpse. It was a cannonball jellyfish but its normally dome head was flattened on one side like a ball that had lost its air. Still its wavy fringes remained a deep red. I slid the jelly onto the float with the umbrella, walked knee deep into the water, and slung the gellish blob back into its salty home. And we waited. It bobbed in the water on its side the same way it had landed in the water. A wave rushed over it and then we only saw the dome head. I expected it to come back toward me in the tide so I stepped back out to ankle deep water. But instead of coming toward me, it went deep and was gone. I stood there in a holy moment. Why had I just let that creature lie there for so long suffering? Why had I assumed its condition instead of investigating? Why had I been so slow to respond to my friend’s urgent face and plea for help? It was just one stupid jellyfish. Who cares? But it wasn’t. It was me, and my friends, and all of us lying on the beach. Someone had taken the time to stop and look at us. Instead of leaving us for dead, or looking at our misery out of curiosity or warning, or trying feed off our helplessness, someone took the time to lean down, get close, and look for signs of life. Someone bothered to bring us back to the Living Water. After high-fives for our heroic rescue, Heather told us that the brain is in the jelly’s dome. “You could see things working and moving in there.” she said with wonder. The true wonder is that she had to get close enough to see that. She had to risk herself to rescue it. Rescue. God’s heart beats with a desire for rescue. Take time today to look at people around you. Who lies helpless on the beach in need of someone to get him or her back in the water of life? Don’t assume you already know the diagnosis. Look for signs of life. You don’t have to take them home to raise. Just give them a push back in the right direction so they can breathe again. Be the person that makes a difference. Be the person who responds to a cry for help. You never know whose life will be saved. It might be your own. I love this mind-tester. You keep moving the squares trying to get one color lined up and then the other side is jacked up. So you spend time trying to get that color matching and… well.. you know the rest. One silly square out of place. Is this frustrating or fun, or both? Am I crazy? stupid? And of course there are always the “smart ones” who slam it down completed in 12 seconds or less. Yeah. We hate those people. But hope rises with practice. As with the Rubik’s cube, it takes skill to master the myriad of relationships. I really thought in our marriage it was just me and Chuck, two sides, two colors. No problem. In fact, our families were not in our equation of marriage, or so we thought. However, idea of “just the two of us” got pretty crowded pretty quickly. Turns out you can’t get rid of your roots. It was me and Chuck and my family and his family. My friends and his friends. My teachers, enemies, old lovers, and role models, and his as well. Then you add children. The colored squares just multiplied. Again. These ghosts of past, present, and future really impacted our ability to connect, trust, and listen to each other. The way our respective parents would fight, make up, handle money, do God — all that was sitting at the dining room table with us when we were trying to fight, make up, handle money, and do God. What courage and insight it was for him to lay it out for me so plainly. I wasn’t even listening to what Chuck was saying. I had gone into auto-pilot reaction as if I was confronting one of them. This is true whether you had a great life history or not. We have been relationally trained by others, for better or for worse. And we have to learn how to relate in a loving way to our mates. Here is a newsflash. It takes time to learn to be truly present and listening. Not recalling old wounds, offenses or disappointments. Not thinking of your to do list or rebuttal. Not letting old triggers cause you to react instead of engage. But instead, really listening to the present need or issue of the moment. 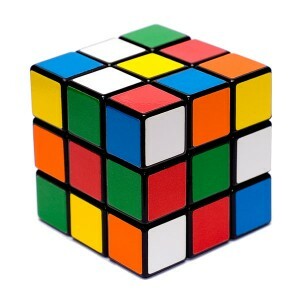 Really lending your heart and spirit to the moving parts of the relational Rubik’s cube”— it’s called relationship. Friendship. Companionship. It’s not easy but worth it. Honesty, patience, safety, hope. These four qualities totally change the condition of most marriages. They are not something you demand from your mate, but something you cultivate with God and then pour it out on your mate. It takes time. It takes practice. It takes God. “I never thought marriage would be this much work.” How many times have I heard this? Ever tried to work a Rubik’s cube? That’s a toy. This is for life. Here a few Ah-has about the journey of becoming one. In light of all the chaos and brokenness surrounding marriage today and in celebration of my anniversary on April 13th of 22 years of marriage to Chuck, I thought this holy experiment warranted a few words. Marriage helps me become my true self. Chuck and I were looking through our wedding pictures last night. I wanted to laugh out loud and cry out loud. We had this delusion of change on the horizon. We talked about how our “love is here to stay” and marriage was forever. We promised we would never change our commitment and passion and drive. We talked a lot about “all we would become” in those early years. Somehow we thought we “knew what we were getting” in each other, but we were woefully unprepared for real life. “Change” was coming at us like a freight train. 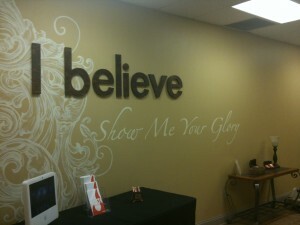 First came the total spiritual overhaul as we became believers the first year of our marriage. That is enough change to wreck the average couple who is confident of their marital choice. Our entire world system— beliefs, hobbies, friends, work, even politics—was turned on its ear. But this was only the beginning. Then came the awareness of all the addictions, coping, hiding, lying and blaming we had brought into our marriage. Our ideas of relationship were turned to dust. Change came crashing in as our selfish ideas of love could not survive the reality of day to day life with another human being. We didn’t truly understand our counterfeit selves until we began living with someone who could see who we really were. Really see. I mean like in Avatar, “I see you.” God’s presence gave us a supernatural peek into who was really living inside the shells we called husband and wife. Not only was there more dysfunction than we could imagine, or handle, there was far more God potential than either of us dared to believe. Twenty two years later, we stand amazed. How did God do that? We have a whole new definition of love, worth, and honor. Is it just me? Did anyone else think this wonderful life of change and growth was going to happen and you were going to stay young and lovely at the same time? Forgive my sarcasm. But. Marriage leaves no stone unturned. From attitudes to habits, from preferences to insecurities, from needs to longings, this journey of two becoming one is ever refining. We have learned to change our idea of acceptance, truly receiving each other: for better, for worse. How did He heal so much? How did He reveal so much? Looking at our wedding photo, I thought to myself, “who are those people?” We are so, so different. And yet I have never felt more at home in my own skin. Going through the battles and the victories, the drama and the outcomes has stripped off so much sin and weakness and has deposited so much grace and mercy. We are indeed thankful for the God who has let us share in the “unveiling” of a man and a woman He knew was in there all along. I almost pulled up the plant last weekend out of disappointment. I thought it was dead. After I put it in the ground last fall, I expected it to be one of the first things to bloom this spring. Forsythias are budding all over town and yet mine was only woody sticks. 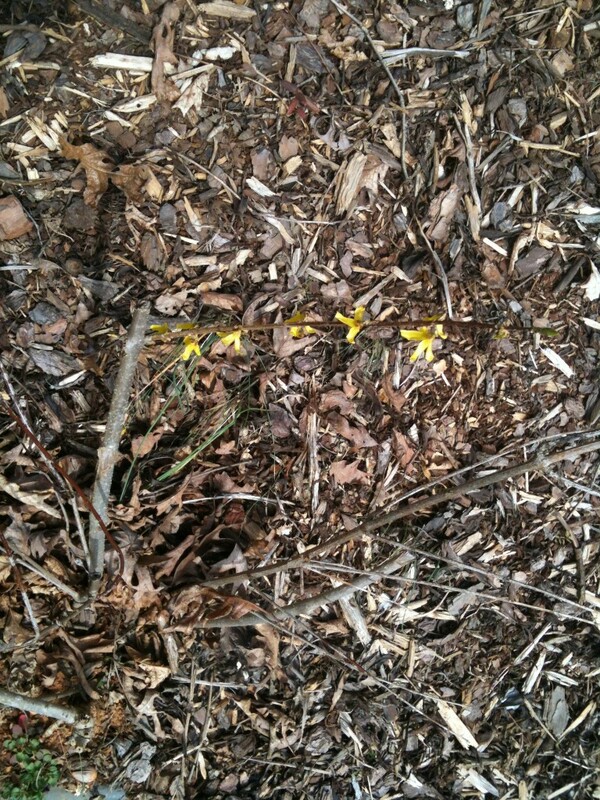 But yesterday, though still looking “mostly dead” there is one small branch of yellow life. It prompted me to go look at other plants and trees I thought were dead. Sure enough, tiny buds or slightest shades of green were pushing up from the ground or out of brown bark. Just like the Lord said last week, “Spring is coming.” Hope indeed is pushing tender buds out of cold winter earth once more. As I pulled dead stalks of flowers and scraped away mulch and leaves where buds should be, the Lord prompted me to consider the difference between New Life and Life from the Dead. We love to say that Easter is about New Life. (Don’t even get me started on the Easter Bunny.) But New Life is looking for growth where I planted bulbs last year, or hoping for a positive pregnancy test. That is, we look for new life to come from seed that we have planted. But Life from the Dead is altogether different. Death leads to decay. Dust to dust. No one goes to a cemetery and expects to see a living person. No one goes to ashes or corpses and expects flesh or breath. And here rises a much more powerful hope. We love, and are loved by, the God of the Resurrection. He is the One who brought life and breath back into the dear, mangled body of Jesus. This is the true miracle of Easter. There was no hope left hanging on the empty cross. But when God called His Son back to life, then True Life began. A life beyond the curse, a life full of truly living hope became ours through Him. Life after death. Life instead of death. Life over death. When Jesus came out of that grave, it wasn’t just about forgiveness of sin. It was about the Life that is now possible to us. In us. Through us. Jeremy Caris said in church yesterday that God’s principle of “what you sow you will reap” is an eternal spiritual law. And God in His goodness and mercy, “sowed Jesus” on our behalf so that we might reap a life that is far more than we dreamed possible. It is a wondrous thing to consider the meaning of Resurrection Sunday. 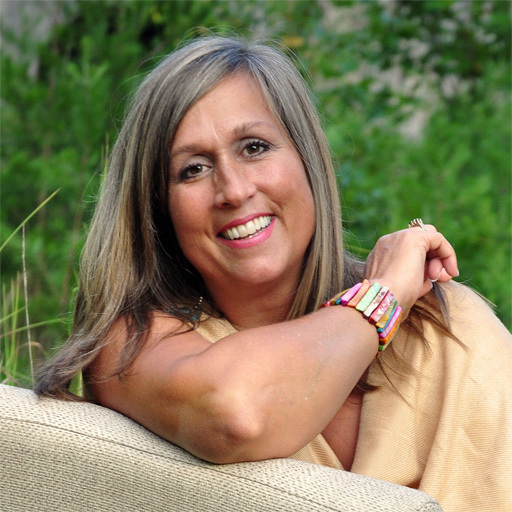 It is a life-changing thing to consider where does my hope come from? And what do I believe God can do in me? Bring New Life? or Life back from the Dead?